Tech giant Apple has just unveiled its very own video subscription service, Apple TV+, featuring Hollywood's biggest names for exclusive original content. 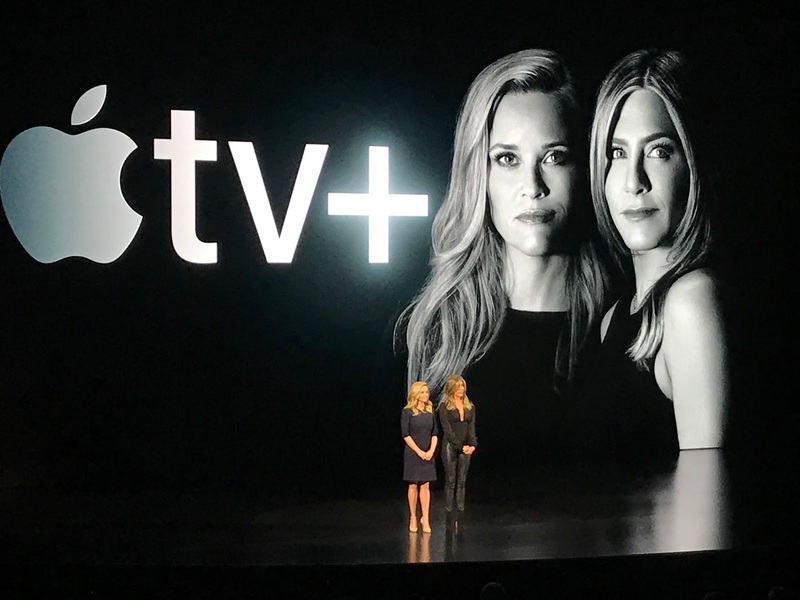 Among the celebrities present at the launch at the Steve Jobs Theater at Cupertino, California today were Oprah Winfrey, Steven Spielberg, Jennifer Aniston, Reese Witherspoon, Octavia Spencer, J.J. Abrams, Jason Momoa, Steve Carrell and more. The filmmakers and stars unveiled their projects for the platform featuring a slate of original series, movies and documentaries. Filmmaker Steven Spielberg who had once famously snubbed Netflix, is working on the "Amazing Stories" reboot that's based on author Isaac Asimov's "Foundation" books. Jennifer Aniston and Reese Witherspoon will go head-to-head with Steve Carrell in "The Morning Show", a drama set in the ruthless morning TV show industry. Jason Momoa, hot off the rails from his "Aquaman" success is teaming up with Alfre Woodard for a sci-fi series called "See". Comedian-actor Kumail Nanjiani is working on an anthology series called "Little America", about stories that feature immigrants. "Star Wars: The Force Awakens" director J.J. Abrams will be making a music themed series called "Little Voice" which features singer Sara Bareilles. The much-loved character from "Sesame Street", Big Bird, also took the chance to get on stage to announce that he and the rest of the gang at Sesame Street will be working with Apple to create a coding-theme show aimed to develop creative kids. Veteran talk-show host and actress Oprah Winfrey, is working on not one, but two documentaries for Apple. One of which investigate the subject of sexual assault at the workplace. M. Night Shyamalan, Chris Evans, John M. Chu, Joel Kinnaman and more were also in attendance for the launch, but did not present their shows on stage. Apple CEO Tim Cook confirmed that the service will be an ad-free service and will be made available for online and offline viewing. With pricing for the service to be announced soon, Apple TV+ is set to be launched this May in selected territories, assumedly in the U.S., Canada and Australia, while dates for its Southeast Asia entry is expected on a later date. Apple also announced a new Apple TV app, that will allow its users to subscribe to other streaming platforms like HBO, Showtime, Starz and more, all under its Apple TV umbrella.